KC Claffy received her Ph.D. in Computer Science and Engineering from UC San Diego. 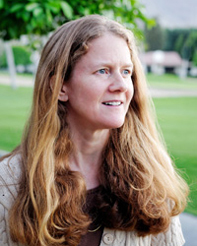 She is director of the Center for Applied Internet Data Analysis (CAIDA) and a resident research scientist at SDSC. Her research interests span Internet topology, routing, security, economics, future Internet architectures, and policy. She leads CAIDA research and infrastructure efforts in Internet cartography, aimed at characterizing the changing nature of the Internet's topology, routing and traffic dynamics, and investigating the implications of these changes on network science, architecture, infrastructure security and stability, and public policy.